Pelham Bay Park is the largest park in New York City (1). The vast 3,000-acre green land includes forests, hiking trails, and is home to a number of wildlife species ranging from harbor seals to red-tail hawks. Many may also know it for the retreat of the Orchard Beach. What most probably don’t know, however, is the historical building of the Bartow-Pell Mansion. An integral part of the Bronx’s expansive and beautiful history, it sits on the east end of the park on Shore Road, overlooking the Long Island Sound. Now a museum, the mansion welcomes visitors from around the borough and the world to visit and partake in its external and internal beauty. It is a Grecian style stone mansion with Greek Revival interiors, refaced in 1836 when a Robert Bartow acquired the estate (2). The property where the mansion currently sits was part of a 50,000-acre land purchase between the Siwanoy Indians and Thomas Pell, a doctor from Connecticut in 1654. The land treaty was famously signed under an oak tree, coined the Treaty Oak. According to the Bartow-Pell Mansion Museum, the land was chartered by King Charles II and consigned by Pell in 1666 (3). The area includes parts of what is now Westchester. Pell began, but unfortunately did not complete, building his home. His nephew, John Pell, would go on to complete it for him in 1670. Unfortunately, the home then burned down during the revolutionary war. By the end of the war, the property was reduced to 200-acres. The land was returned to the Pell family, after Bartow purchased the land in 1836. Bartow completed the construction of the current skeleton of the home in 1842, where he lived with his wife and children. The estate was acquired in 1888 by New York City. Structures neighboring the mansion deteriorated, but the mansion survived. It officially became a museum, in 1946, and then became a part of the National Register of Historic Places in the 1970’s. It is an official New York City Landmark. Upon your visit, you will see a home furnished with pieces reminiscent of its history - including a 6,000-piece postcard collection by Thomas X Casey showcasing photos of the last century. Like many of the Bronx’s historical landmarks, you will be welcomed by its rich history and beauty. The Bartow-Pell Mansion is located at 895 Shore Rd, Bronx, NY 10464. It costs $5 for adults, $3 for students and seniors, and free for children under six. For more information, please visit Bartow-Pell Mansion. 1. "Bartow-Pell Mansion." The Historic House Trust RSS. N.p., n.d. Web. 10 July 2016. 2. "History of Historic Bartow-Pell Mansion Museum and Carriage House of the Bronx, New York." History of Historic Bartow-Pell Mansion Museum and Carriage House of the Bronx, New York. N.p., n.d. Web. 10 July 2016. 3. "History of Historic Bartow-Pell Mansion Museum and Carriage House of the Bronx, New York." History of Historic Bartow-Pell Mansion Museum and Carriage House of the Bronx, New York. N.p., n.d. Web. 10 July 2016. The Van Cortlandt House Museum, like many of the historical buildings in The Bronx, is a hidden gem. Its history isn’t well known to many Bronx residents, and especially not those from out of the borough. It is the Bronx’s oldest building that transformed from a residential property to a museum where anyone can visit and learn more about the Bronx’s rich history. So rich that it is not a only a New York City landmark, but a National Historical Landmark. The museum is frequented by many students and is an attraction for tourists all around the world. The Van Cortlandt House Museum sits in the Southwestern region of Van Cortlandt Park, near the cross street of 246th and Broadway. The Georgian style house dates back to the late 1600s. It was originally built - with fieldstone and brick - by Frederick Van Cortlandt as a family home for his wife and two daughters (1). The house was built on a wheat plantation, where the current Van Cortlandt Park sits, that had been in the Van Cortlandt family since 1691. Frederick unfortunately passed in 1759 before the completion of the home. In his will, he left the property to his son, James, and gave permanent residency to his wife, Frances Jay (2). The land in which the house sits was owned by Frederick’s father, Jacobus Van Cortlandt, who was New York’s Mayor in 1791 (3). The property was home to a thriving wheat plantation that shipped products across New York State and even to the South. The house was also instrumental during the Revolutionary War. Though the property was still under British rule, Augustus Van Cortlandt, a city clerk, hid the property’s files from The British. George Washington is said to have inhabited the house on several occasions. It is rumoured that Washington used the house as one of the headquarters for his operations during the Revolutionary War. The house was a site of a decoy where Washington’s troops staged bonfires so that they could evade British Capture (4). The Van Cortlandt Family owned the home until 1888. The property was then purchased by the City when it purchased the entire park property. The city’s Parks Department then renovated the park, adding new trees and swamps to the area surrounding the house. In 1897, the house was acquired by National Society of Colonial Dames in the State of New York and was transformed into a museum. It is one of the 19 houses under the Parks and the Historical House Trust of New York City. Almost one hundred years later, the house was declared a New York City Landmark (5). Now a museum, the Van Cortlandt house attracts historical seekers from across the globe. One of its notable attractions is the home’s interior that has preserved its original aesthetic. The house is filled with furniture and art reminiscent of the era in which the house was first built. The staircases and walls throughout the home hold the spirit of its past residents. You can feel energies of the past in the home. As an emblem of the Bronx’s history, I believe it is well deserving of it praise. I strongly suggest taking the time to visit this magnificent structure and taking in its history with your own eyes. 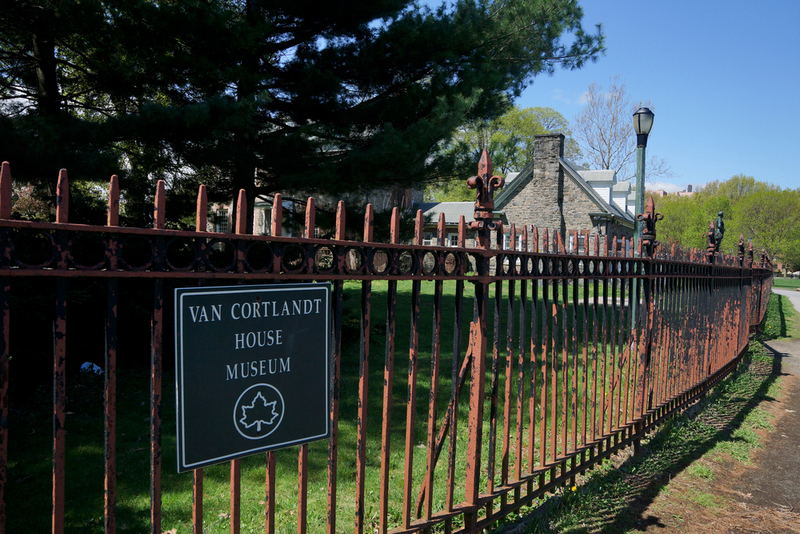 Find out more information on how to visit the Van Cortlandt House Museum on their website. 1. 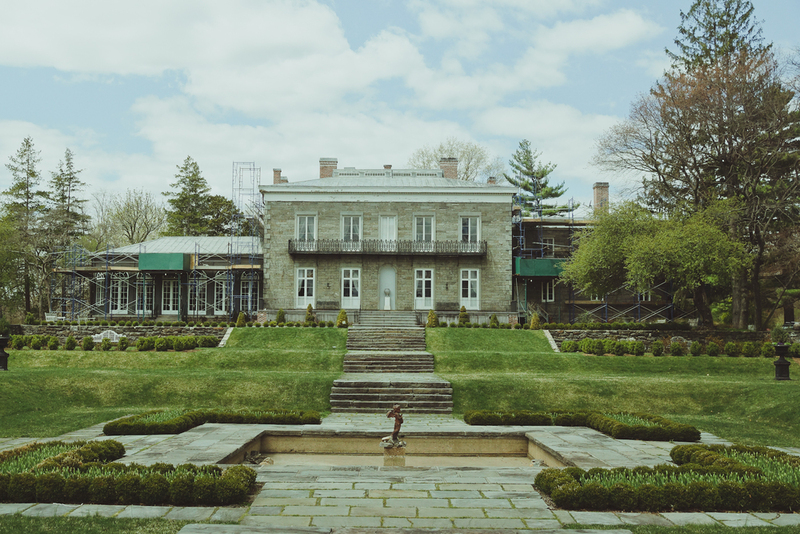 "The History of Van Cortlandt House and Museum." Van Cortlandt House Museum. N.p., n.d. Web. 18 May 2016. 2. 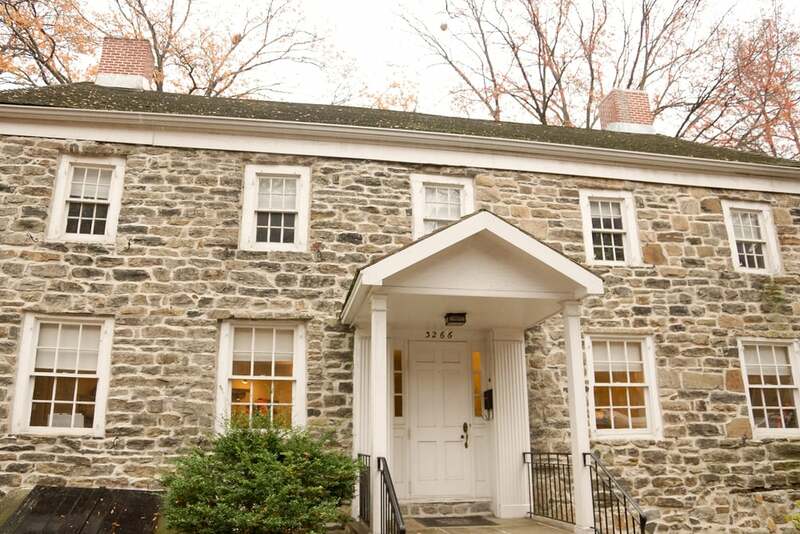 "The History of Van Cortlandt House and Museum." Van Cortlandt House Museum. N.p., n.d. Web. 18 May 2016. 3. "Van Cortlandt Park." Van Cortlandt Mansion and Museum. NYC Parks Department, n.d. Web. 19 May 2016. 4. "Van Cortlandt Park." Van Cortlandt Mansion and Museum. NYC Parks Department, n.d. Web. 19 May 2016. 5. "The History of Van Cortlandt House and Museum." Van Cortlandt House Museum. N.p., n.d. Web. 18 May 2016. Given its rich history, it is no surprise that the Bronx is home to many historic infrastructures. From the Kingsbridge Armory to the Andrew Freedman Home, there’s no shortage of famous buildings throughout the borough. However, many of these buildings are unknown to the borough's own residents and New Yorkers around the city in general - making them underutilized, and their beauty and importance, neglected. I would like to think of the BankNote Building as a hidden gem. I had no knowledge of the building’s existence until I began working for a small business nonprofit in 2014. After accepting the position and getting the building’s address, an internal alarm went off. My preconceived notions of the Hunts Point area deterred me initially. The area’s well documented history of crime and prostitution, plus the distance from my Kingsbridge home, made the task of traveling to the BankNote daunting. But on my first day at work, my mind was immediately changed. I would go on to spend many days exploring the building during my tenure there and engulfing myself in its external and internal beauty. Sitting in the Hunts Point and Longwood sections, the massive structure may seem unassuming at first glance. But a self inspired tour around the building’s campus will change your mind. The brick exterior is telling of the structure’s age as it was built in 1909 and widely known as the “penny factory” for its function. The building was part of The American Bank Note Company, who printed paper and coin money. According to the building's website, the 410,000-square-foot structure is comprised of four buildings: The North, Garrison, Barretto, and Lafayette. It’s easy to spot from the Bruckner Boulevard Expressway, and if you are on the higher points of the building then you can look down into the famous Hunts Point Markets and Rikers Island. According to the Real Deal, after being abandoned in 1985, the building laid vacant until 2007 when Taconic Investment Partners purchased it for over $32 million dollars. The developers had several ideas for creating a loft styled space for small business owners and creatives alike and even invested $25 million dollars into the buildings developments. The impact of the recession that year stalled the developers plans and the building laid dormant once again. Taconic Investment Partners then sold the property to Perella Weinberg Partners and Washington, D.C real estate investment firm Madison Marquette for a whopping $114 million. The new owners immediately began plans to revive the space. Since its turnover, the building has been transformed to a beautiful incubator for creativity, business, and opportunity. The Bronx Business Incubator are one of the residents of the building. They rent out space to start up businesses, nonprofits, and health agencies. Some of the incubator’s tenants include the nonprofit Start Small Think Big and businesses like Luscious Wines, and even the office of Congressman Jose E. Serrano. The building houses two public schools and is home to programs such as Sustainable South Bronx and the Knowledge House. A walk around the building, to Garrison Avenue, will bring you to The Point - which is a one stop shop for creativity and grabbing a great lunch. The Point is a nonprofit dedicated to youth development by offering art programs and employment opportunities for large community of color that surround it. There are so many opportunities that Hunts Point Residents and all Bronxites can take advantage of in the BankNote. The revitalization of the BankNote has attracted many residents, old and new, of the Hunts Point area. The building serves as a great example of restoration in an area that so desperately needs more showcases of hope and inspiration. With a little faith and time, so many things are possible. 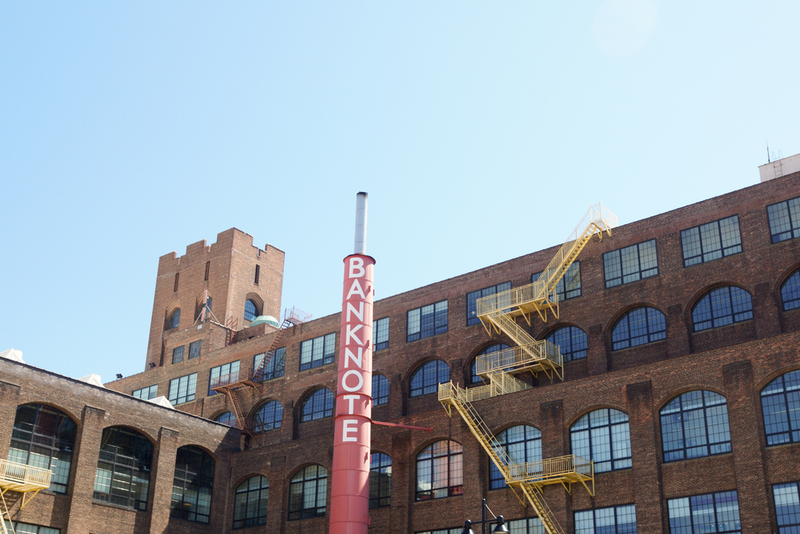 Visit the BankNote building at 1231 Layfayette Ave, Bronx NY. 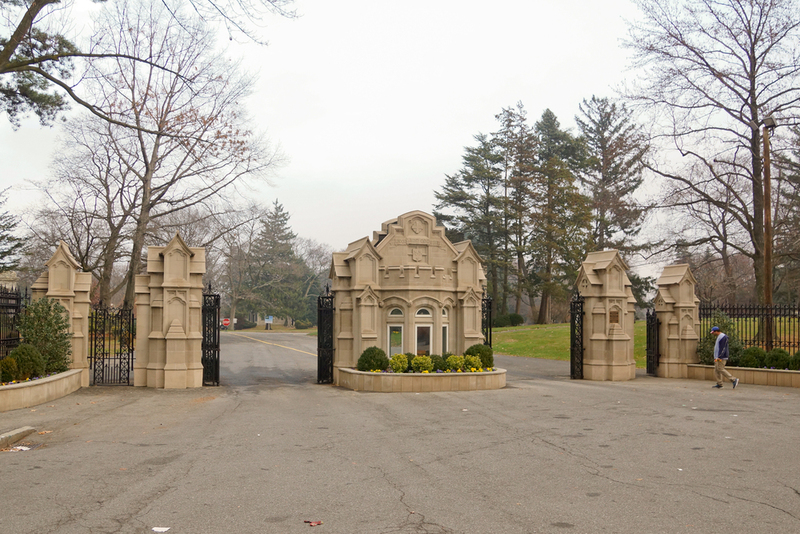 If you are from the northwest of the Bronx, you might know about Woodlawn Cemetery. Not for ghosts or urban legends, but for its beautiful, delicate landscaping. The tastefully organized 400 acres cemetery is designed with a lake, hills, meadows, mature trees, streams, and curved pathways while overlooking the Bronx River. However, you might not know the deep history behind it. Woodlawn Cemetery was founded in 1863 and designed by James C. Sidney as a rural cemetery according to The Cultural Landscape Foundation. However, in 1867, the cemetery trustees moved toward a lawn cemetery style that could accommodate monuments and mausoleums. For those who don’t know, mausoleums are buildings for tombs. 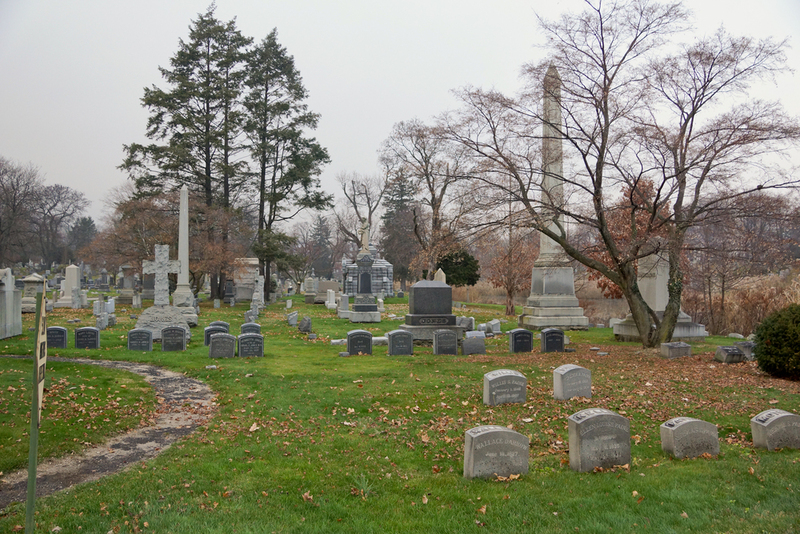 Woodlawn Cemetery historian Susan Olsen in WNYC’s “The Hidden History of NYC’s Woodlawn Cemetery,” details the rich history of these mausoleums. These architectural monuments set Woodlawn Cemetery apart from the rest. Known in some circles as the cemetery of the “rich and famous,” New York’s wealthiest citizens built these grand mausoleums to show off their style and wealth. Notable American architects such as McKim Mead & White, Carrere & Hastings, John Russell Pope and many more showcased their artistic talent and expertise in designing the mausoleums that mirrored their clients’ Fifth Avenue mansions while they were still alive. Olsen states that there are 1,316 private mausoleums, the largest collection in the country. The cemetery houses notable residents that include Duke Ellington, Herman Melville, Fiorello LaGuardia, Joseph Pulitzer, Madam C.J. Walker, Alva Vanderbilt Belmont, Celia Cruz, Elizabeth Cady Stanton, and many more. According to Lloyd Ultan and Shelley Olson’s The Bronx: The Ultimate Guide to New York City’s Beautiful Borough, the funeral and burial of Admiral David Farragut in 1870 put “Woodlawn on the map” as Farragut was a personal friend of General, then president of the United States Ulysses S. Grant. Because of the number of participants that marched behind Farragut’s hearse which as the president, vice president, and every member of the cabinet, no one has ever received such an honor. In 2013, Farragut’s grave and monument was named a National Historical Landmark. In 2011, Woodlawn Cemetery was declared a National Historic Landmark. Today, there are over 300,000 people buried at Woodlawn Cemetery. The Woodlawn Cemetery is located on 233rd street and Webster Avenue with another entrance on Jerome Avenue near the north end of Bainbridge Avenue. It is open to the public every day from 8:30am to 5:00pm. Admission is free. I was probably in the third or fourth grade and didn’t comprehend the importance of history. Certainly not of the old house we were standing in. I wasn’t aware that it was the second oldest house in the Bronx. A house that was part of one of the greatest wars in American history — the Valentine-Varian House. According to the Historic House Trust, Valentine-Varian House was built in 1758 and was the last of the farmhouses along the original Boston Post Road, now Van Courtlandt Avenue East. Isaac Valentine, a blacksmith and farmer from Yonkers, built the two-story, 18th century Georgian house out of the native stone on his land. Its prime location gave Valentine access to crop markets in New York, and with plenty of business as a blacksmith as carts and carriages constantly passed his door on their way to King’s Bridge and Manhattan. The house faced a number of challenges due to the American Revolutionary War. According to my Bronx bible — Lloyd Ultan and Shelley Olson’s The Bronx: The Ultimate Guide to New York City’s Beautiful Borough — the house has seen some important faces during this tumultuous time. Paul Revere, engraver, early industrialist, and one of the most famous Patriot soldiers in the war, often passed by the house with letters from the Massachusetts Committee of Correspondence to the Patriots in New York City. One of our founding fathers, George Washington, who was the newly appointed general in 1775, passed by the house on his way to Boston to take command of the troops besieging the British. The book also explains that the house was taken over in the Fall of 1776 by the British Army, German Hessian mercenaries, and Tories (Americans fighting for the British). Also, the head of the French Army, Jean-Baptiste Donatien de Vimeur (or Comte de Rochambeau) and his soldiers also encamped in the farmhouse in July of 1781. The house was in the middle of six battles. And, through all of this, Valentine remained in the house. After the war in 1789, John Adams visited the house en route to New York City to be inaugurated as the nation’s first vice president. President George Washington once again went by the house for a second time on his way to visit the New England states. Due to the effects of the war, farmers in the area were faced with great hardships in repairing the wreckage of their homes and lands. Valentine was impoverished and in deep debt. According to the New York City Parks Department, he was forced to sell the property in 1972 to Isaac Varian, a butcher and farmer. The Varians kept the house for three generations. One of his grandsons, Isaac Leggett Varian, served as mayor of New York City from 1839 to 1841. Due to increasing urbanization, rising property values, and real estate taxes, it was no longer profitable to operate a farm in the area by 1905. The house had to be sold again and was passed through another family ownership before being donated it to the Bronx County Historical Society in 1965. The house was then moved diagonally on Bainbridge Avenue, between Van Courtlandt Avenue East and 208th Street, from its original location. The move took two days. The house retains the original floorboards, hand-forged nails, and homemade mortar. There’s one room that displays a section of the interior wall structure protected by glass. The house operates as the Museum of Bronx History. 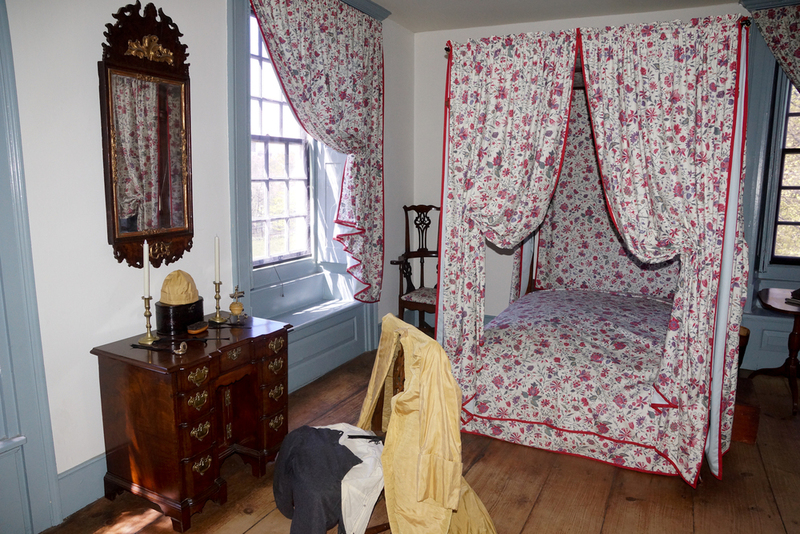 The Valentine-Varian House is a true window of how people lived during the colonial period. But more importantly, it is a symbol of how the Bronx played a role in one of the important wars that formed our great nation. As a Norwood resident of over 20 years, I am proud to see this house in my borough. According to The Bronx County Historical Society, William F. Beller, an official in the New York Customs House, acquired the house in 1905 and his son William C. Beller donated it to the Bronx County Historical Society in 1965. With Beller’s financial help, the house was then moved diagonally on Bainbridge Avenue, between Van Courtlandt Avenue East and 208th Street, from its original location. The house retains the original floorboards, hand-forged nails, and homemade mortar. There’s one room that displays a section of the interior wall structure protected by glass. The house now operates as the Museum of Bronx History. Visitors will notice a stone statue known as The Bronx River Solider, located on the north lawn. Lloyd and Olson state that after the Civil War, John Grignola was hired to carve a statue of a Civil War soldier for the Oliver Tilden Post of the Grand Army of the Republic to mark the dead that were being buried in Woodlawn Cemetery. It was rejected by the GAR post because it was marred by a chip. Grignola then gifted the statue to John B. Lazzeri, an official at Woodlawn Cemetery. In 1898, it was placed on a granite pier in the Bronx River behind his house south of Gun Hill Road. Over six decades, the L-bolts that were holding the statue in place began to loosen and the statue fell over in the Bronx River. The Bronx County Historical Society found the statue after The New York City Parks Department stored it in a warehouse. Arrangements were made to restore the statue and place it on the lawn of the Valentine-Varian House for safekeeping. The house is a true window of how people lived during the colonial period but more importantly how the Bronx played a role in one of the important wars that formed our great nation. As a Norwood resident of over 20 years, I am proud to see this house as I walk home. The Valentine-Varian House also known as the Museum of Bronx History is located at 3266 Bainbridge Avenue in the Bronx, NY. It costs $5 for adults, and $3 for students, children, or seniors. For more information, please visit The Bronx County Historical Society. Growing up, I always wondered about the white little cottage on Kingsbridge Road. It seemed very odd to me—, almost out of place. Such a small, peaceful looking house surrounded by the loud main road, and huge buildings. “Who lives there?” I would ask my mother as we rode past it on the bus on our way to Fordham Road. It wasn’t until my freshman year in college, while taking a writing class on detective and mystery fiction, that I learned who actually lived there. It was one of America’s greatest authors and poets, Edgar Allan Poe. He had once lived in our beloved borough of—The Bronx. The cottage originally stood on Kingsbridge Road, east of Valentine Avenue, which was formerly known as Fordham Village. Poe, along with his young, ailing wife Virginia Clemm (who was also his cousin), and mother-in-law Maria (who was also his aunt), rented the cottage for $5 rent per month or $100 per year. Ultan and Olson state that he moved his family in the summer of 1846 in the hopes that the fresh county air would improve his wife’s condition who was struggling with tuberculosis. The country life was going well for Poe until January 30th, 1847, when Virginia succumbed to her illness and died in the cottage’s first floor bedroom. Poe stayed in the cottage until his mysterious death in 1849 when he left on a lecture tour to raise money. He wanted to start a new literary magazine in Baltimore, Maryland. It is uncertain on the immediate use of the cottage once the Poe family left. However, the cottage was in complete disrepair. In 1889, William Fearing Gill bought the cottage for $775 at an auction in the first step of preservation after the Parks Department considered it too expensive to restore. In 1895, the New York Shakespeare Society purchased the cottage for use as a headquarters with the intent to maintain it in the condition which Poe used it. However, with the widening of Kingsbridge Road, they lobbied the New York Sate Legislature to relocate the house across the street and to establish a public park surrounding it (—Poe Park). It wasn’t until 1913 that the cottage was moved and opened to the public, along with the park. In 1962, Poe’s Cottage was designated a landmark in The Bronx and in 1966 it was recognized by the New York Landmarks Preservation Commission. Then, in 1975, the Bronx County Historical Society became its permanent custodian. Some of the furnishings such as Poe’s rocking chair and the bed in which Virginia died are still in the house today (anyone want to conduct a séance?). Other items in the cottage were not used by Poe himself, but arranged by Poe’s admirers that visited his home. Whether you are a Poe enthusiast or history buff, the cottage serves as a historical glimpse of The Bronx’s rural past and an intimate portrait of the life of one of America's most famous writers. Edgar Allan Poe Cottage is located at Kingsbridge Road and the Grand Concourse in the Bronx, NY. It costs $5 for adults, and $3 for students or seniors. For more information, please visit The Bronx County Historical Society.